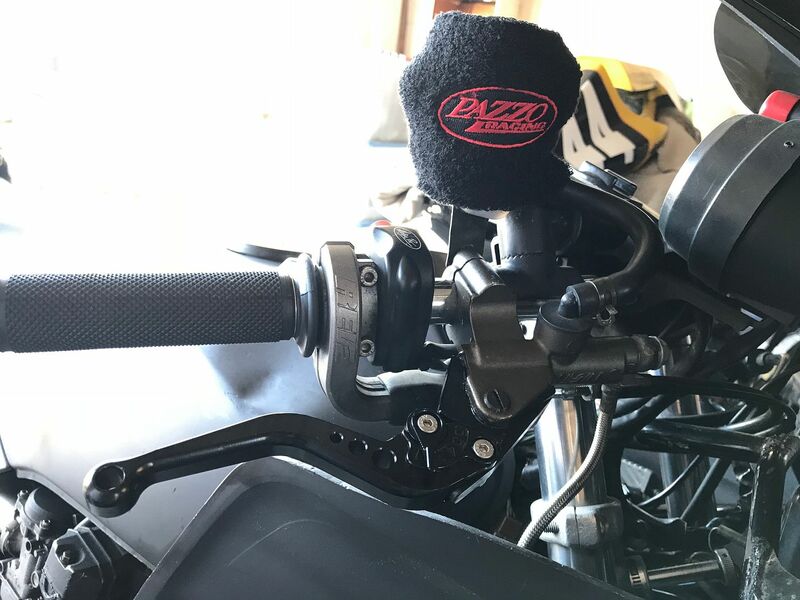 I am looking to add another bar raiser to my ZR750. I am hoping for a more upright riding position similar to a Vstrom. I maxed out the throttle cable length when I install the first bar raiser. Does anyone know what the length of the OEM throttle cable is? Is there a set of cables from another Kawasaki model that may be 2 to 3 inches longer than that of ZR I can use? Hi Kenny, I don't know which cables would fit off the shelf, but have you thought of making your own, or having one made to your specification? There are companies out there who can supply Bowden cable inners and outers by the roll, or length, or will make them up for you. Also, if the throttle cable is too short for the new bar height, what about your clutch and brake hoses? Again, if they're too short, they can be custom made for you. Having nice new high quality braided hoses made up isn't that expensive when compared to OEM replacements. Hungry Wilf, thank you for the suggestions. I found a place in Japan that sells ready made extra long throttle cables, choke cable, and cutch cable for the Zephyr. They are 150mm longer than stock. They have other lengths too. This place is https://japan.webike.net/ . I bought my rear carrier from them before. The 3 sets of black cables all together costs me about $100 US landed at my door. I'll have the long front brake hose made locally. I think I am good to go with this mod. W, thanks, I hope 150mm is not too long too. Anyways, I ordered them, they are on their way. With the new setup, my bar will position about 53mm higher with 35mm more pull back. I think that will get it to where I like it. I don't know it your are in The States or not, but I'd recommend sending an e-mail to Motion Pro as they have a Custom Cable Department that does just that all day long. There is more to a cable than just length, and they can help. I am running a Motion Pro Rev2 Throttle Assembly on my CV32, Telefix Clip-On, 1985 GPz550.